This volume provides a comprehensive and technical presentation of numerous aspects of reproductive cell tissue cryopreservation, and presents readers with current procedures and detailed discussions of novel techniques and the latest innovations. 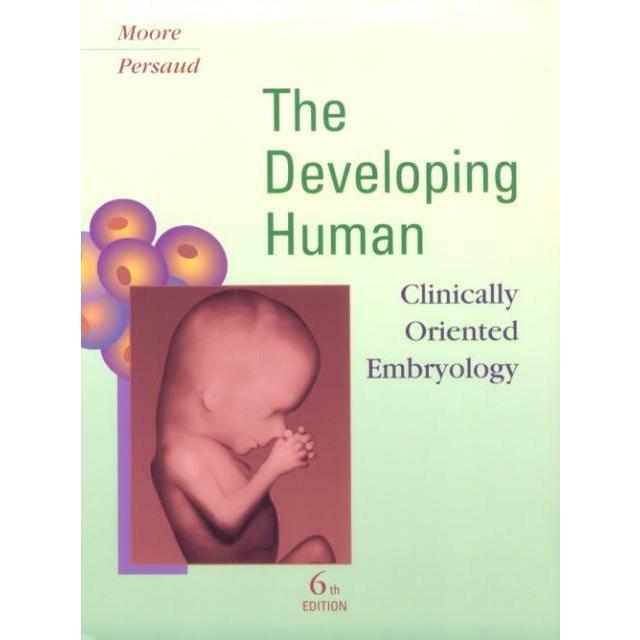 The chapters in this book are divided into five parts and cover subjects such as: immature oocyte cryopreservation, human sperm vitrification and slow-freezing, directional freezing of ovarian tissue, automated vitrification systems, and detailed protocols on popular and commercially available cryopreservation/vitrification systems. Written in the highly successful Methods in Molecular Biology series format, chapters include introductions to their respective topics, lists of the necessary materials and reagents, step-by-step, readily reproducible laboratory protocols, and tips on troubleshooting and avoiding known pitfalls. 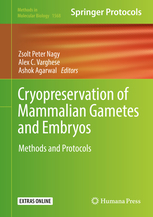 Cutting-edge and practical, Cryopreservation of Mammalian Gametes and Embryos: Methods and Protocols includes chapters written by leading experts in the field and is a valuable resource for anyone interested in the field of cryopreservation. Zsolt Peter Nagy, M.D., Ph.D., is the Scientific Director at Reproductive Biology Associates (RBA), in Atlanta, GA, USA. He has acquired distinctive knowledge and experience on embryo science. He is well known for his contributions to oocyte vitrification and the development of the largest donor oocyte cryo-bank in North America. Dr. Nagy is a member/officer of several national and international professional societies, including ASRM, ESHRE, Alpha, ISFP and AFP, as well as a reviewer and editor. He is the author and/or co-author of over 200 publications, book chapters, and books. Dr. Alex C. Varghese is the Scientific and Laboratory Director at Astra Fertility group in Mississauga, Canada. His proficiency and vast experience in clinical embryology and academics earned him a reputation in the ART community. He is well regarded for his passion to disseminate knowledge through online platforms and also as a leader of embryology society. He has helped many units establish training programs and affordable batch IVF units in many South Asian Countries. His area of interest is in developing automated systems for assisted reproduction. Dr. Varghese believes in “responsible reproduction” through ethical practices, low-cost IVF for the masses, quality management, and safe practices that safe guard the health of IVF children. Dr. Ashok Agarwal is the Head of the Clinical Andrology Center, which over the years under his leadership, has become a center of excellence in the United States for the diagnosis of male infertility and fertility preservation of men with oncological conditions. He is board certified as a Clinical Laboratory Director in Andrology by the American Board of Bioanalysis and an Inspector for the College of American Pathologists “Reproductive Laboratory Program” for accreditation of Andrology & IVF Laboratories. Dr. Agarwal is the recipient of several awards, such as the 2011 Innovator Award from Cleveland Clinic Innovations for the development of “Remote Sperm Banking Kits.” His current research interests are identifying biological markers of oxidative stress, DNA damage, and apoptosis using proteomic research tools and bioinformatics analysis, as well as preserving fertility in patients with cancer.